Is it better for staff to be bullied than ignored? Most of us will have had some experience with bullying in our lives and, unfortunately, this can continue into adulthood and into the workplace. 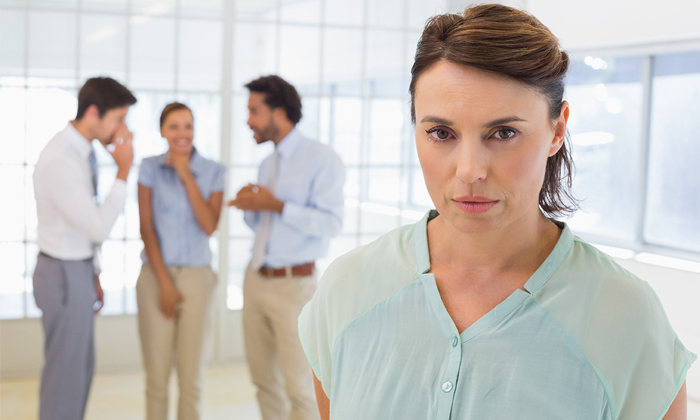 But as difficult as workplace bullying may be to cope with, a new study by the University of British Columbia’s Sauder School of Business suggests it is perhaps better alternative to being ostracised in the office. “We’ve been taught that ignoring someone is socially preferable – if you don’t have something nice to say, don’t say anything at all,” Sauder Professor Sandra Robinson, who co-authored the study, said. The study found people rated workplace ostracism “as less socially inappropriate, less psychologically harmful and less likely to be prohibited than workplace harassment”, with those who claim to have been ostracised at work reporting a lower sense of workplace belonging and commitment, stronger desires to quit their job, as well as added health problems. While it’s hard to decide if I’d rather be bullied or ignored at work, the findings are little surprise when taking into consideration Maslow’s hierarchy of needs. The third stage of the model, which highlights social needs, include human beings’ need for belonging and acceptance – something that is clearly absent when one is being ostracised. Bullying can be easier to pinpoint in the workplace, but the symptoms of being ignored are slightly harder to pick out, with Robinson adding such abuse “is not always obvious”. “There are many people who feel quietly victimised in their daily lives, and most of our current strategies for dealing with workplace injustice don’t give them a voice,” she said. As a manager, if you notice a particular employee is often left out of meetings, taking breaks or having lunch alone, or being excluded from social activities, it’s probably time to get involved. Remember, that are two sides to every coin, so make sure you’re being fair in accessing the situation and reaching a solution. Train line managers to pick out both obvious and subtle signs of workplace abuse, establish a code of conduct that is being communicated to staff on a regular basis, and create avenues for employees who feel side lined or threatened to reach out for help. It doesn’t take a lot to realise workplace abuse can be disconcerting, distracting and even embarrassing for those at the receiving end, so make sure leaders and HR teams follow up on complains and handle each case professionally. I’m not opposed to the belief that every office needs a little friction to keep things dynamic and encourage friendly competition, but as leaders, we should never stand for bullying or ostracism at any cost. It may be a little romantic to expect a workplace with no politics or bullying, but you can aim to get as close to that ideal as possible. Singapore’s economic landscape is changing rapidly. Do you have what it takes to excel?..